Will ticketing ever say goodbye to barcodes? Barcodes still have a major role to play in the ticketing sector according to an industry expert, despite Live Nation chief Michael Rapino’s assertion that they are “the key to a lot of problems in the [ticketing] business”. During his keynote interview with Emporium Presents’, Live Nation president and chief executive Rapino said that identification will be the solution to industry security issues and an opportunity to say goodbye to the somewhat antiquated barcode. “We have to solve this. We have to solve it through identification, and it’s a real challenge as well as a real opportunity to get rid of the bar code in ticketing. It’s the key to a lot of problems in the business. We’re the last business to still use a barcode. Even the airlines go to digital tickets,” Rapino said, according to Pollstar. “We don’t know who actually has the ticket with the barcode. Identity has to become a piece of our business. However, Tim Chambers, advisor and consultant in the ticketing and live entertainment business, told TheTicketingBusiness that he thinks validation at event point-of-entry means that, a barcode or equivalent, will always be present, but in a diminishing sense as the major players begin to adopt other technologies, such as Lisnr, Apple iBeacons, or other RFID / NFC technologies. Lisnr’s technology, the ‘ultrasonic communication protocol’, is used to send data through sound. Its Smart Tone tickets are sent via email as a web link, which, when activated, generates an inaudible (18.75kHz–19.2kHz) tone decoded by door staff using an app. Ticketmaster, which is owned by Live Nation, currently uses Lisnr among the proximity-based digital systems that power its Presence service. Ticketmaster Presence is built on a software platform and uses proximity-based digital technology like NFC and RFID, and sound. 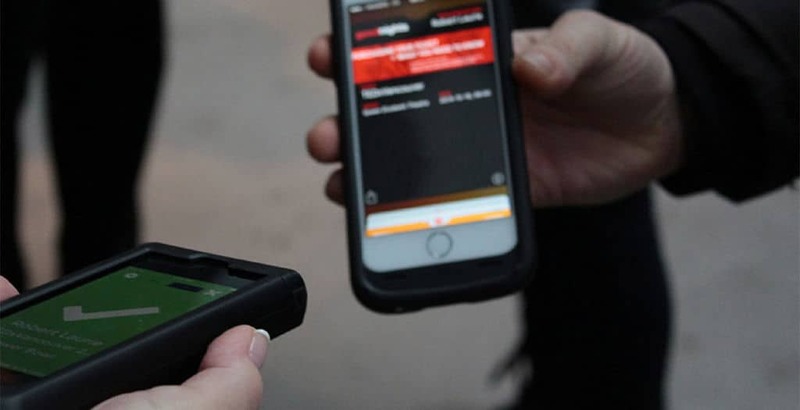 It allows attendees’ ‘tickets’ to be verified by an ultrasonic connection between their mobile phone and the venue’s systems. The deployment of Lisnr’s technology means fans no longer have to offer their QR code or barcodes for scanning, and benefit from frictionless event entry. If they are a verified ticket holder their mobile will emit a tone that registers with the venue’s Lisnr-enabled device by turning it green. Chambers told TheTicketingBusiness that it would be challenging to completely eradicate the barcode due to a lack of commonly agreed industry standards. He said: “Live entertainment is fragmented because artists are in one group, venues and promoters typically another, and then ticketing operators are a completely separate group albeit with overlapping interests. “You currently don’t have a technology agreement or API between Ticketmaster and AXS, or Eventbrite, or others – even though it would help the industry as well as consumers.